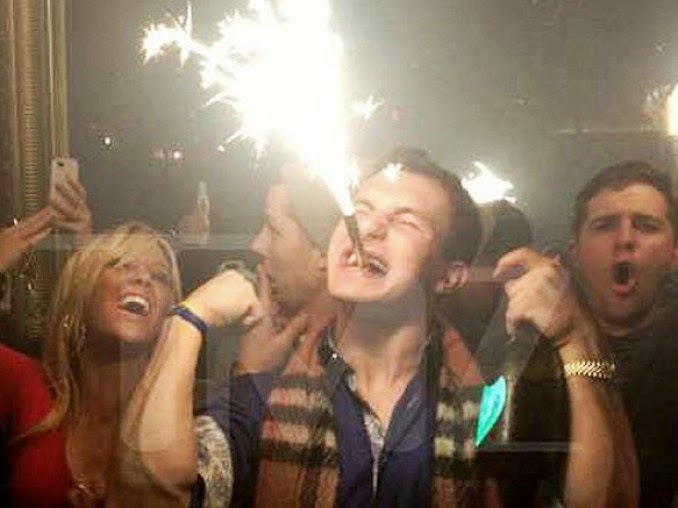 Johnny Manziel getting his party on as shared by TMZ. I was working at East Tennessee State University when I first heard about a kid in Knoxville that was the next big thing. Peyton Manning played for the Tennessee Volunteers and was all that anyone talked about. I moved to Indianapolis right before Peyton graduated, so I followed the 1998 draft closely to see where Peyton ended up. That year, the debate was who was going first...Peyton Manning or Ryan Leaf? The Colts had the first pick and interviewed both men. Well, tried to. Manning showed up with a notepad full of questions for the Colts. Ryan Leaf missed his interview. Many thought Ryan Leaf had greater potential than Manning. The San Diego Chargers put it all on the line for the future of their franchise with Leaf. The night after the draft, Leaf flew to Vegas and partied like a rock star. He barely made it to his press conference in the morning, yawning his way through it. The drama of Ryan Leaf continued, his career nothing more than a disappointing foot note with an asterisk tagging him as the greatest bust in NFL history. I was spoiled as a Browns fan living in Indianapolis. I saw Manning as the model of what an NFL quarterback should be. A strong arm, a little cocky, dedicated to the team and the city and most importantly, an understanding of the game and what it means to be in the NFL. While other quarterbacks were crashing their motorcycles and being reckless in other areas of their life, Manning wasn't. In an interview, Manning said he doesn't join in a pick up game of ball or snow ski to avoid injury. He said, "I feel like you have an obligation to your teammates, your coaches and the fans. These people that buy season tickets want to come see you play and want you to be out there. I feel an obligation to be out there." That brings me to Johnny Manziel. Finally, with the draft, the Browns were going to be relevant again, and not for the sports fail reel or that jersey with all the names of all the quarterbacks on it. 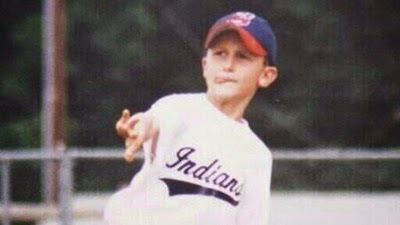 The picture of Johnny Manziel as a little leaguer in Indians gear circulated. It is meant to be! The autographing scandal, missing Manning Camp meetings and being tossed out to bar room brawls. Didn't matter. Arrests, angry tweets, Mercedes driving, Cabo vacationing. With a promise to Wreck This League, the Browns drafted Johnny and whipped the fan base into a frenzy of tshirts and Johnny F-ing Football beer mugs. He was brash, smiling flashing up his money sign to the crowd, something more out of the play book of rock star Gene Simmons than an NFL quarterback. That is what we wanted...Cleveland wanted a *reason* to be cocky. A Heisman trophy winner fills that empty hole in our collective heart. Sure, he liked to party. But, so did Joe Namath. The Pro Football Hall of Fame is not a bad place to end up. Then, Johnny went to Vegas and hung out with Gronk. In his start, he flipped off the Redskins bench...on live TV. 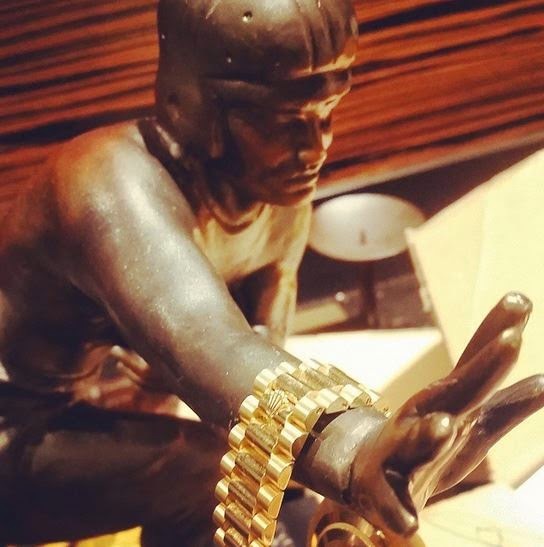 He bought his Heisman trophy a Rolex. But, then came the parties, the booze swigging while floating on a swan, the hugging scandal. Manziel had a hamstring injury and he told the media he wanted to take things more seriously. He is going to be around more in the offseason and work hard to be the guy. And, a few days later, he threw a party that caused him to miss a meeting (sounds like the Manning Camp all over to me), and Josh Gordon to be suspended. Allegedly. The next announcement was he was going to be accountable and stop "looking like a jackass." 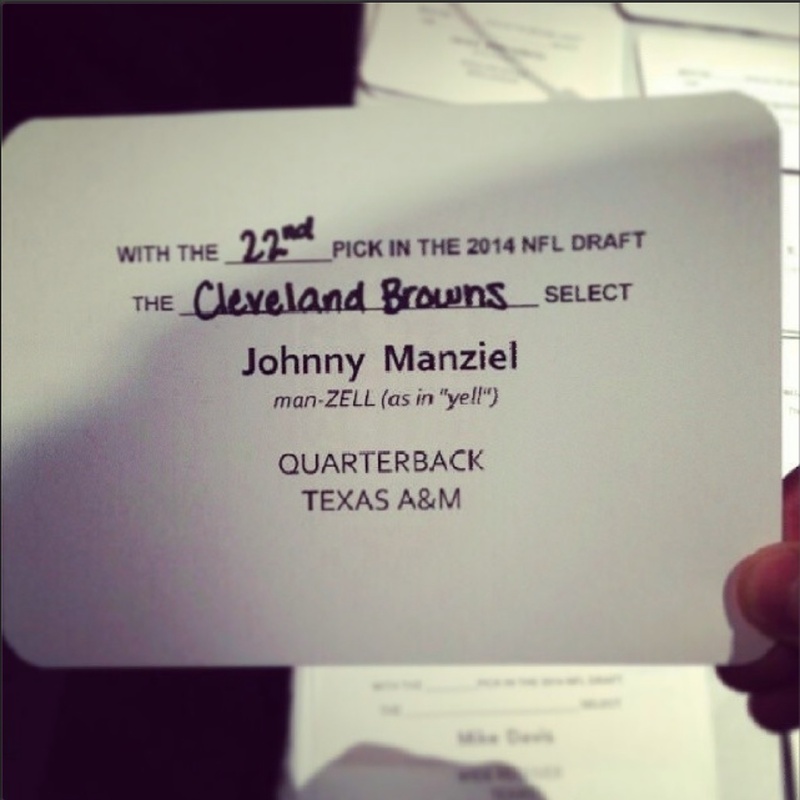 But, for some reason, Manziel makes me irrationally angry. I understand that if he snorts a line grape Pixie Stix off center court at the Q while wearing a Yankees cap with Drake, it plays zero role in my life. I'll wake up the next morning, and go about my life. I'm bothered by the fact that this guy has the skill to be great. He could help the Browns win. With each Instagram or TMZ post, I see him fade in to distance in the rear view mirror. I don't think he cares a bit about the City of Cleveland or the fans. Why does it aggravate me so much? I want him to do his job to the best of his ability. Maybe I'm just a demanding person. If I'm paying someone, which, we can argue that by buying Browns or Manziel gear and tickets, paying taxes, etc, we are paying his check, I want them to do their job. If I go out and order a gin and tonic and I get a gin and soda, life will go on, but I assure you, I will be cranky. If it happens a second time, I will be grumpy. If it happens a third time, I will just switch to coffee. Right now, Manziel is acting like a defiant 22 year old kid. Yes, he is a 22 year old, one with a crap ton of money and advisers. When will he listen to his advisers and get serious? Maybe he needs to take time to visit with Ryan Leaf. Who Shoveled The Finish Line?